It’s still not too late to purchase a reasonably priced flagship smartphone that you can offer as a Christmas gift to a special someone, but if you’ve been keeping an eye on LG’s latest high-end models, choosing the perfect deal may seem pretty hard. Of course, it’s the good kind of hard, as everyone from Amazon to Best Buy, Verizon, and Sprint has a little something to offer V40 ThinQ and G7 ThinQ buyers this holiday season. The newest deals come from Best Buy and Verizon, with the former retailer marking down the prices of the two aforementioned Android handsets by a whopping $490 on the latter carrier’s device payment plans. Instead of coughing up an arguably excessive $40.83 every month for two years for the LG V40 ThinQ, amounting to a grand total of around 980 bucks, new Verizon subscribers and existing ones looking to add a line will be charged just $20.42 a month after bill credits. That means your 24-month expenses will merely sit at $490 or so, representing 50 percent savings compared to the V40’s list price. Meanwhile, new LG G7 ThinQ adopters on Verizon can save a solid $374 of their own once monthly bill credits are taken into consideration. The phone usually fetches $750 all in all, so with this new promotion, you’ll only be paying around $375. Coincidentally, that’s also a 50 percent discount. 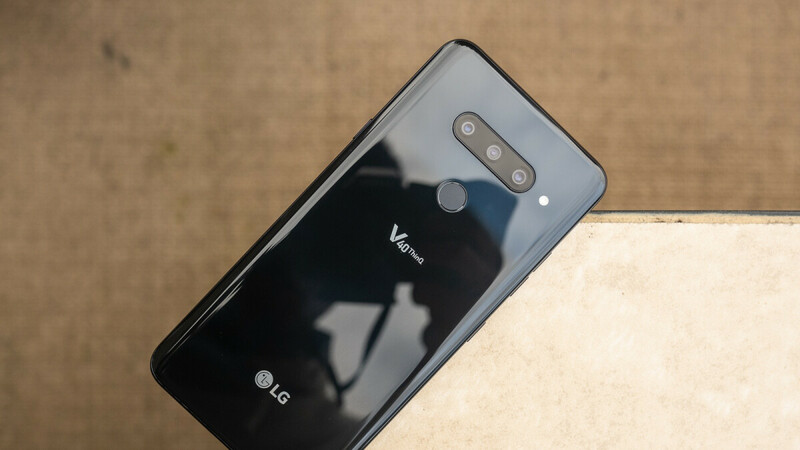 While not exactly the world’s best-reviewed 2018 high-end phones, the LG V40 ThinQ and G7 ThinQ arguably provide great bang for your buck right now as they share a state-of-the-art Snapdragon 845 processor. The V40 is obviously more feature-packed, with a larger and sharper OLED screen, 6GB RAM, a slightly bigger battery, as well as three rear-facing cameras and two selfie shooters. But the G7 is itself no pushover, with decent dual 16MP rear snappers, a water-resistant build, and high-res LCD panel.